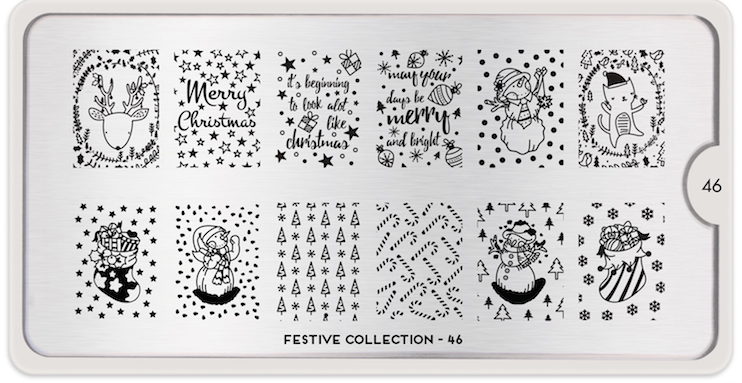 Continuing the streak of let's catch up with all the plates ever this month let's talk about the latest Festive Collection release from MoYou London! 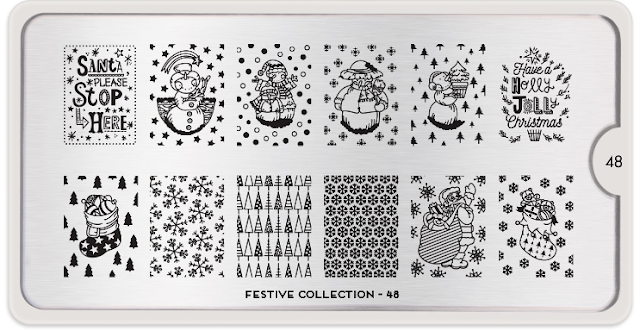 This release was for the holiday plates for Christmas, but even if you don't celebrate the holiday and just want to enjoy some awesome winter plates these work well for that too. I really liked this expansion so let's take a look! Hey kitty cat. Cute! 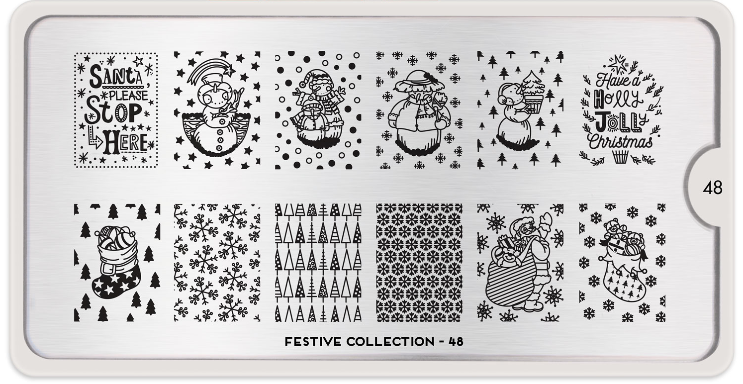 The new Festive plates that MoYou releases are always reminiscent of other collections over the last 2-3 releases. This year they appear to be more similar to the Enchanted Collection and a result look a little more kitctzy and adorable than last years round which leaned toward the Fashionista style intarsia everything look that I kind of hated. In any case I much prefer this style and find the kitten, reindeer and snowman so sweet somehow. They are perfect for just winter even if you want to pick them up for that during some of the post holiday sales. I ended up getting this one. The trees and stockings and snowman were just so freaking adorable! I even loved the new stylized snowflakes and the teeny tiny Santas. I was a bit sad to see the stylized trees however did not make it over to the XL sized version. I have to admit the smaller images are just more adorable somehow plus all the trees and other little images did not make it over to the larger sized image plates. This plate in particular leans more toward a winter as well so this another plate that works well outside of the holidays. Finally I really adore the typography across these plates! 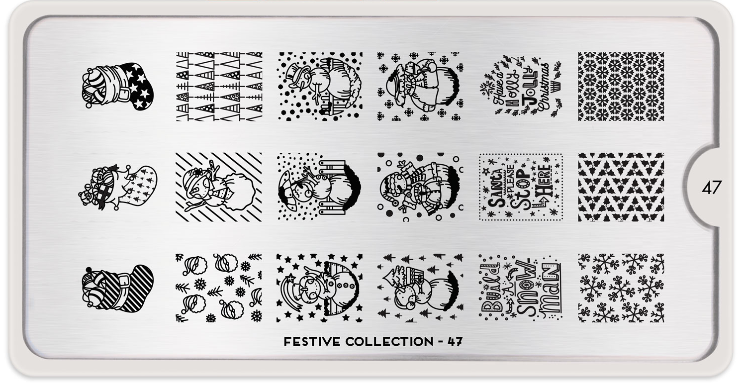 I mean the santa's and stockings are cute but as usual when combined with the typography, at least for myself, I end up wanting the plates more. Prior to the end of the holidays I ended up purchasing both of the XL sized plates. Did anyone else get these? Even if you don't scoop them now putting them on your wishlist for next year so you can grab them BEFORE the holidays would be a smart move! These plates are available now on the MoYou London website and retail for 5.99 GBP the shipping at usual. Happy hunting and I'll see you next post!